Beacon Support | What Is Consumer Directed Care? Many people looking at aged care may have heard the term CDC services or wondered what is consumer directed care? These are important terms in aged care services as consumer directed care aims to give the aged more control of the home and aged care services that they use. It gives the individual the choice of services which they will purchase and gives them the choice of service provider. The system is flexible and allows the individual to tailor the support services that they receive to their individual lifestyles, personal requirements, and budget. 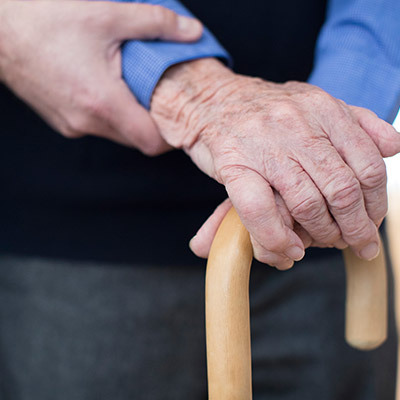 In line with the Australian government’s intention to keep the elderly in domestic living environments, since February 2017, the home care package is paid to the individual rather than to the service provider. This gives the recipient even more control than they previously had, which is in line with Beacon Support’s approach to Consumer Directed Care or CDC services. Consumer directed care is intended to provide the aged with better service, a better quality of home care and control over their lives and the home care that they receive. The Australian government specifies four levels of home care support. Each level attracts a different level of funding. The level for which you qualify will depend on your home care needs as determined by the Aged Care Assessment Team. In the past, the assessment would be a determinant of how many hours and what type of care you would receive. Now the funds are transferred to your account and you decide what to do with them. What is Consumer Directed Care Funding? The Australian government funds a certain amount of the aged care services you need, and you may need to cover the difference. The important thing to remember when asking what is consumer directed care is that it gives the aged person, or you, the power of choice. You decide which approved provider will manage your funds and your home care. If you are not happy with the service that you receive you can change the approved funder to another. CDC services offer a greater range of choices to the consumer. At Beacon Support we have a broad service offering that we can tailor to your requirements. Our organisation is focused on your needs and offers exceptional customer service. With decades of experience in the field of in-home support and care, we understand that the package we tailor together with you must fit with your needs and preferences. We work with you to determine your goals in life and then we can help you to accomplish them through your personalised home care package. Our carers offer individualised support and will grow to be a well-liked and highly appreciated part of your routine, offering you care, companionship and support. Call us at 1300 435 782 or contact us via our online form for more information about what is consumer directed care or more on our CDC services.